Heat oven to 350°F. Grease 15 medium muffin cups, 2 1/2x1 1/4 inches. Mix 1/2 cup sugar and the cinnamon. 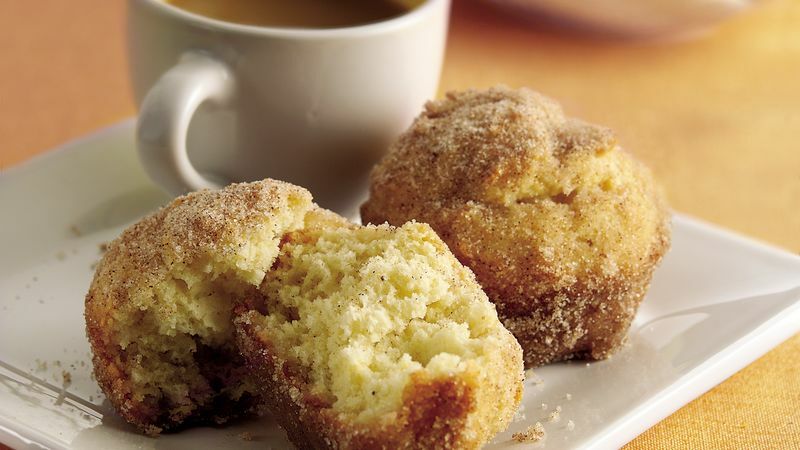 Roll hot muffins immediately in melted butter, then in sugar-cinnamon mixture. Serve hot. Toss 2 tablespoons finely chopped nuts into the cinnamon-sugar mixture for Nutty French Breakfast Puffs. Or make Baked Mini Donut Holes. Prepare the recipe as directed, except divide the dough among 24 greased mini muffin cups, 2x3/4 inch, and bake 11 to 13 minutes. Make more cinnamon-sugar mixture than you'll need, and store the rest to use later. Try it sprinkled on buttered toast or stirred into cooked rice.